It's been 10 years since Dexter had premiered on Showtime, and being that it's the most popular show they've ever had, they're celebrating its success in a couple of important ways. In August, the network had announced a 10 episode marathon would air on its anniversary of October 1st, and that fans would be able to vote online for which episodes would make the cut (pun totally intended). 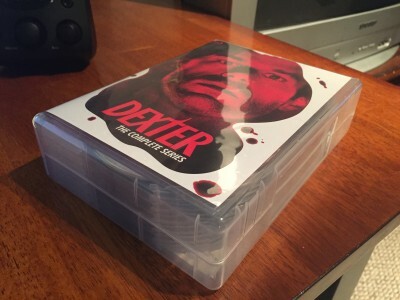 For fans that have yet to own the complete series on DVD or Blu-ray, Showtime have also decided to release a more compact - and cheaper - boxed set than the one they had released in unique blood slide packaging back in 2013. That's perfectly reasonable, considering many may have passed on the old set due to space concerns, or the higher price point the wood box and plastic sleeves had undoubtedly brought with them. But before I delve into the specifics of this particular release, it's a good time to assess the quality of the show for those that may be contemplating a blind buy. On the surface, Dexter Morgan seems like a well adjusted man. He works as a blood spatter analyst for the Miami Metro Police Department, and he always shows up wearing a smile and with donuts in hand. After punching out, he'll head out for drinks, swear like a sailor with his sister (also working at Miami Metro), bowl in a league, and spend time with his beautiful girlfriend and her two kids. But all of that is just for show. Deep within, Dexter has a �Dark Passenger', and the only way he knows how to keep it at bay is to kill. When we first meet him, he's already a seasoned serial killer. To commemorate each death, he gives each of his victims a diagonal slash on the cheek, collects a drop of their blood in a slide provided by none other than Miami Metro, and places it in his collection at home. It's all pretty twisted, but what differentiates Dexter from other serial killers is that he has a �code'. His victims are people who are guilty of their crimes, yet manage to escape the justice system because of some technicality. So, he brings them to a self-made �altar', provides his own brand of justice, and dumps the slime in garbage bags at the bottom of the ocean. Throughout the series, the showrunners hit many of the story beats you'd expect. �Working' under the nose of Miami Metro may allow Dexter to hide in plain sight, but there can only be so many coincidences before people figure out he's the common denominator. More immediately pressing is ensuring his sister and girlfriend don't get suspicious whenever he disappears for hours at a time. This especially proves difficult because the longer it's been since Dexter's �Dark Passenger' has been appeased, the more risks he's willing to take. So, in order to massage raised eyebrows until he feels he's in the clear, he has to manage relationships as a normal person would. Of course, that's a struggle in-and-of itself, because Dexter isn't normal. He's cold, calculating, and emotionless. Assessing this program qualitatively is a little tricky. 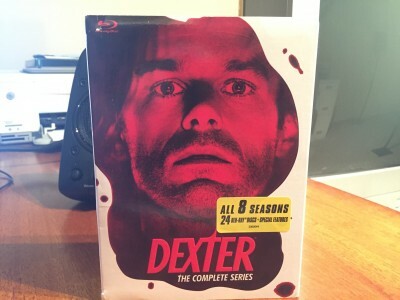 Season 5 is when the fan base really began to divide, as people grew tired of each season featuring a new �big bad' for Dexter to go up against. It's a fair criticism, I suppose, but not one I've subscribed to. To be fair, I'd definitely take the first 4 seasons over 5 and 6 any day of the week, and there is something formulaic about introducing a new villain each year for Dexter to befriend, only to understand they're more of a menace than he's realized and that he'll have to dispose of them. However, each �killer of the year' is a window to the answers Dexter has been looking for. Love, loyalty, responsibility, and faith are only some of the themes they force him to explore, and considering how important these are for anyone that's soul searching, I don't think the latter half of the series treads as much familiar ground as some might lead you to believe. On the contrary, I think most of Dexter's run is some of the best television we've had in the last two decades. It's a little more �B show' than the likes of Breaking Bad or The Sopranos, but in some ways, Dexter was more addicting because for all intents and purposes, you should have hated this character - he is a serial killer, after all - and yet, he's entirely likeable� at least for a good long while, anyway. How can this be? You don't know, but you keep tuning in to find out. But don't mistake me as some sort of apologist. I'll concede that this series has one tragic flaw: Its 8th and final season. The showrunners wanted to wrap everything up at the end of season 7. They told enough of their story and felt it was a great time to get out. It was wise of them to believe so, because the 7th season offers the most intense batch of episodes this series has to offer. But Showtime wasn't ready to let go of their favorite cash cow, so they opted to latch onto its depleted teets one last time. They clearly had zero concern for the lasting legacy of this program, and the quality of the final season reflects that. The writers, unsure of how to drag things out for another 12 episodes, introduced a bunch of useless plot threads that ultimately don't go anywhere, meaning everything except the last couple of episodes are a complete waste of time. If this is the sort of thing that would make you feel as if you've wasted your money after enjoying several quality seasons, this should be taken into consideration. That said, I still believe Dexter is worth the time. Sure, the final season wreaks of �cash grab', but everything that leads up to that train wreck is so well written, directed, and acted, that I've continued to think about this show in the three years it's been off the air. There are far too many memorable moments to just write the series in its entirety off because it stumbled across the finish line. As a result, I keep drawing people into this series and they've always thanked me for it, so I pass this recommendation along to you, DVDTalk readers. Is this the set you'll want, though? Read the sections below to find out. This is an impressive 1080p, AVC encoded presentation (1.78:1) that's even better than how the show looked during its initial broadcast. I would be surprised if I heard this Blu-ray set didn't completely capture the principle photography as was intended - Skin tones are dead on, any variation of crimson is displayed with bold intensity, colors are vivid yet lifelike most of the time, and intended contrasts are replicated flawlessly. Daytime scenes that take place outside appear to be overly bright and skin tones can look a little off as a result, but the show was filmed this way to convey to us the sweltering heat in Miami. Certain scenes in the dark seem to be bathed in more black than would be natural, but again, this is also a photographic trick that's used for tone and effect, and not an issue with the encode. And the detail is absolutely immaculate. In close-up shots you can see individual fibers on clothing, every strand of hair, and the image always retains a decent amount of depth and dimensionality. There's only the occasional shot that looks soft (due to the photography). Of course, all of the amazing work done during principal photography would mean nothing if this were a subpar encode, but have no fear. There's no edge enhancement, digital noise reduction (certain dark scenes will exhibit a bit of grain or noisiness that relates back to the source), banding, aliasing or digital artifacts. 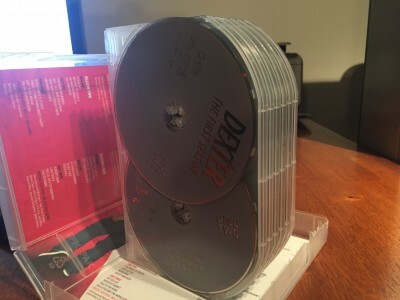 In short, the encode we've been treated to for Dexter - The Final Season is absolutely to die for. There's always been a surprising amount of attention paid to detail in Dexter's sound design, and The Final Season is no different in that respect. This lossless Dolby TrueHD 5.1 track has a quality to it that's almost cinematic. It's a dialogue driven show, for sure, and the voices are always crisp and clear, but it's everything else that continues to surprise me year after year. As always, Daniel Licht's score is haunting and always drives the suspense on-screen to heights that make my spine tingle. Rear speakers can be aggressive when the show calls for it (which isn't very often), but they're always active in a subtle way, providing an uncanny ambience that makes you feel like you're following Dexter every step of the way. When you're indoors, you'll feel like you're inside of a room, and when you're outdoors, you'll hear the openness of dialogue change and the environmental sounds will keep you fully immersed. Fans of the show will be satisfied, and for anyone experiencing the show on Blu for the first time, you'll be pleasantly surprised. These comments still ring true for the series in its entirety. The only thing really worth noting with this set is the packaging. The wooden �blood slide' set was pretty creative, and more importantly, the discs were housed securely on individual plastic trays. This set aims to trim the required amount of shelf space down, and while it does so, it comes with a caveat. 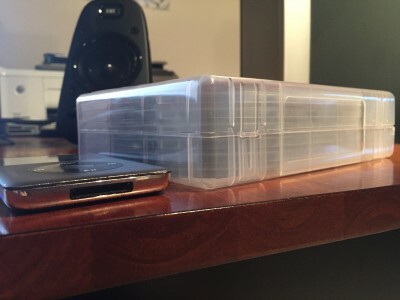 Housed inside the cardboard sleeve is a huge plastic case. Within this are plastic trays where the discs are secured by plastic hubs. So far, so good, as I can't stand cardboard book style packaging. However, I almost destroyed the trays the discs are housed in, because guess what? The trays aren't actually secured to the plastic shell they're in. That's all well and good, but a little warning would have been nice, as this goes against everything consumers have come to expect with Blu-ray packaging over the years. Many will undoubtedly wonder if the extra bonus disc included in the previous Blu-ray boxed set is included� and it's not. I can understand not including the book as it simply wouldn't fit, but releasing a new complete series set and dropping supplements is just disappointing. This may be to entice fans to buy the older, more expensive set, and honestly, I'd encourage it. True, there's a world of difference between the old and new sets as far as MSRP is concerned, but in terms of real dollars, the blood slide set can be purchased on Amazon (at the time of this writing) for $138.95. This new, slimmer and less expensive set goes for $92.88. May as well go for the better packaging and extra supplements. If you don't care about supplements or fancy packaging though, this new set should suit fans and newcomers alike just fine. If you already own all the individual season sets however, there's no reason for you to upgrade. Dexter is one of the best shows to have graced television in the last 20 years, and remains just as engaging and entertaining as it did throughout its initial run. The final season is bound to disappoint, but the rest of the journey is well worth your investment of time and money, even if Showtime couldn't bother to provide an adequate amount of supplements. I wouldn't recommend anyone who owns the individual season sets to jump on this new release, but if you've been waiting for a complete series option that's slimmer and cheaper than the old �blood slide' set, then there's really no reason not to add this to your collection. Just be careful when you're removing the inner plastic �book' which houses the discs, as it isn't attached to the outer plastic shell. Highly Recommended.